In its heyday, Czerka Corporation bought up all the land it could manage--including entire moons. While some of these moons were purchased to exploit their abundant mineral deposits, most were turned into massive warehouses for excess manufacturing parts and inventory. One such storage facility was designated CZ-198. Czerka Special Executive Rasmus Blys, thrilled with its remote locale, handpicked CZ-198 to become home to his new research projects. 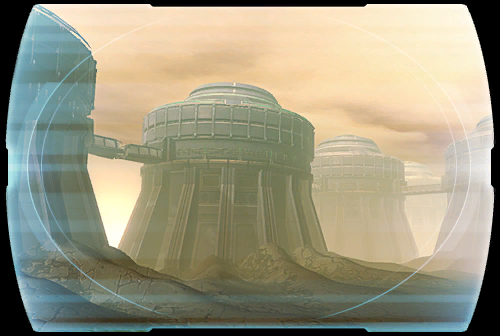 Over the years that followed, CZ-198 grew into a major profit center for Czerka, developing and manufacturing cutting-edge droids and weapons. Due to the facility's top-secret nature, it is unclear whether Czerka's executive board was aware that CZ-198's Green Habitat Zone biomes were built for Blys' ultimate goal: to gauge the effects of foreign environments on creatures and beings that have been forcibly mutated and enhanced into weapons of war.